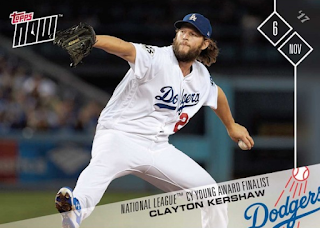 As you may know, this season is the seventh consecutive year Kershaw has been in the top-five of Cy Young voting. This ties a record held with Hall of Famer and former teammate Greg Maddux. Here is a look at Cody Bellinger's Rookie of the Year finalist card. Go here to check it out and order. 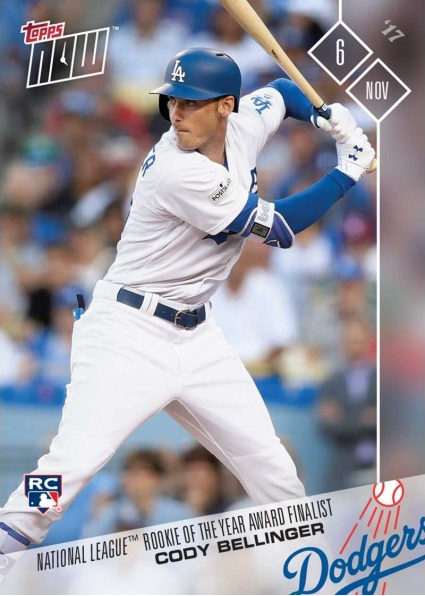 It's probably fair to say that Cody is the odds-on favorite to take home the prize. If he does win he'll be the 18th Dodger to win it. 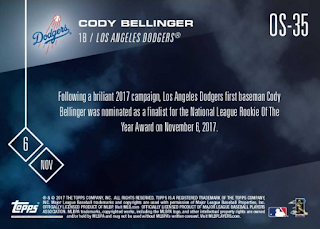 Corey Seager was the last Dodger to take home this coveted award last season.